We are an Exeter based Charted Standard Development Youth Football Club, established in 2000. We have 12 mixed (boys and girls) teams, and 2 girls-only teams. All our coaches and helpers are volunteers, and we are always looking for new people to join our friendly team here at West Exe. Interested? 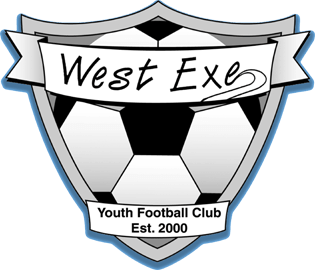 Please contact the secretary@westexeyouthfootball.org.uk. Sign up to our newsletter and we'll send you club news and event details by email. If you're posting about a match use the hashtag #westexeyouth in your post, and we may embed it on our site. Use additional tags like #under12s or #under14sgirls to give your post some context. If you'd like to contribute further why not register for an account so you can post news and match reports?